This past weekend was the third and final of my city’s big festivals! The first is the Daruma festival in early January and the second is the Tanabata Festival in July. I put together this little video about it for my panel at Otakon in August, and I’m happy to be putting it on YouTube for you guys to see! This entry was posted in Art, Gunma, Japan, Modern Traditions, Video and tagged Art, I painted this, illustration, my art, star festival, Tanabata, video, watercolor, youtube. Bookmark the permalink. 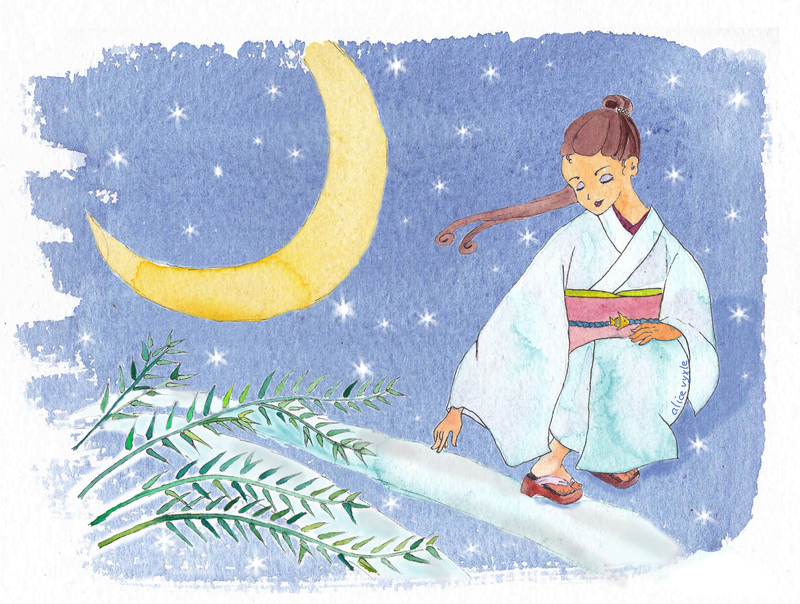 1 Response to Today’s Watercolor AND Youtube: Tanabata!